First impressions count, right? So imagine my pleasant surprise on arrival in the "Madeleine Room" where I was to conduct training to find at every place around the u-shaped table was a namesake "madeleine" (a small French cake) and a glass of freshly squeezed orange juice. This was in addition to the standard bottle of water and mints that you find in every meeting room - it was very much on theme for the hotel where I was training, and created a positive benchmark for the rest of the day. After I had completed setting up for the training I ate my madeleine, drank my OJ and had just enough time to give the 'thumbs up' and say "Thank you.....I love freshly squeezed orange juice" to the banquet waiter (who hardly spoke any English) before my training participants arrived. 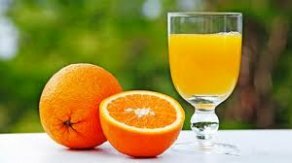 Just as I started the introduction to the day the waiter very discreetly returned to the room and presented another glass of the delicious orange juice at my place. This had not been requested, but he had used his initiative to provide an extra level of service to me and create a small "wow" moment. What had already been taken from a basic service through the cake and juice was elevated further through the individual service experience provided by the waiter in response to my enthusiasm for the juice. Was I impressed? Of course! Could this service be improved upon? I am always talking about going beyond expectations, but this service, while definitely of a high standard, could be taken even further. And, happily for me, it was. "Welcome back to our hotel, Mr Millett. We know that you love freshly squeezed orange juice.....please enjoy!" And on the tray was a small jug of freshly squeezed juice, just as I had enjoyed three months previously. Double wow! Why was I so impressed by this very small gesture? Because, let's face it 300ml of OJ is a small thing in the overall scheme of things - it wasn't a bottle of champagne after all. And yet it created far greater impact than a bottle of champagne would have. What did a $5 jug of OJ do that a $200 bottle of champagne wouldn't have done? On a personal level I was impressed because it was a gesture that was tailored specifically to me, as an individual. This orange juice became a symbol for me that in this hotel I was to be recognised for who I am and what is important to me. And the personal recognition came courtesy of the original waiter who had served me three months before. On a professional level I was impressed there is a culture in the hotel that encouraged staff to identify opportunities to create these personal connections with guests and that these opportunities are acted upon. It is easy to give lip service to "the customer experience" and what it means, however it is something else entirely to empower staff to feel that they can actually bring these experiences to life. There is probably a system in place for my banquet waiter to capture the information required to exceed expectations, and to share this knowledge with others for later action. This particular experience for me is a great example of how simple it can be to go beyond expectations. It does not have to take a lot of money - indeed sometimes the smallest of gestures can have the greatest impact. Imagine if all your team members were as engaged and empowered as that banquet waiter - to the point where they could set in motion the steps that would ultimately create such simple, yet profound, personal service experiences for your guests.